Hopeful Spinal Cord Stem-Cell Trials Move to U.S.
Spinal cord injuries can be the most devastating and permanent for victims and their families. While physical therapy and some treatments can improve the quality of life for accident victims, some must suffer a lifetime of incapacity and countless other adversities. New spinal cord research trials may offer hope to accident victims and their loved ones. For decades, stem-cell research and other treatment trials have focused on improving conditions for spinal cord victims. Our Massachusetts spinal cord injury attorneys are dedicated to helping accident victims recover compensation after a life-altering injury. We understand the gravity of circumstances faced by our clients and will work strategically to protect their rights and financial security after an accident. A neuroscience professor at Rutgers has focused his life’s work on finding a cure for spinal cord injuries. He is teaming up with an Army captain and West Point graduate who is dedicated his boxing prize money to finding a cure. The men have teamed up for personal reasons and scientific passions in hopes that spinal cord accident victims may one day be able to walk. Together, the boxing champ and researcher are hoping to bring clinical trials from China into the U.S. The Rutgers researcher is hoping to expand trials, which involve injecting umbilical cord stem cells into the damaged spinal cords of patients. In addition to the stem cell injections, lithium is used to help regenerate nerve fibers. Results from previous trials have been encouraging and bring hope to spinal cord injury patients. Both sets of patients in Kumming and Hong Kong were given the spinal cord injections and some of the patients were also given rehabilitation therapy for six hours a day, six days a week for six months. Researchers point to the positive results, finding that 15 of the 20 patients were walking again with minimal assistance, 2 were walking with no assistance at all. The results exceeded the expectations of the researchers and raises hope for spinal cord victims in the U.S. and internationally. In addition to bringing the spinal cord injection therapies to the U.S., the researcher has founded an organization and is developing a program for researching walking devices and physical therapy. Teaming up with the Olympic boxer, they are hoping to raise awareness of spinal cord injuries in the veteran and boxing communities. Several non-profits and businesses have also demonstrated their support by providing funding and encouraging the trials in the U.S. According to researchers, it will cost $150,000 for each person to enroll in the clinical trials in the U.S. 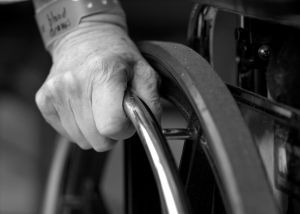 There are over 1.3 million people who suffer with spinal cord injuries in the U.S. Victims may suffer varying degrees of incapacitation, however many will no longer be able to work and depend on others for care and assistance. While many victims will continue to hold out for a cure, they will also need support and assistance in the meantime. After an accident, victims may be entitled to significant compensation to help bear these costs, including medical expenses, long-term care needs. If you or someone you love has suffered a spinal cord injury, contact Jeffrey S. Glassman for a free and confidential appointment to discuss your rights. Call 1-877-617-5333.